We’re excited to announce that the 2nd Edition SCE Flashcards are now available! You can now book your place on the 2019 SCE Revision Course here! Pallmedpro provides educational solutions for professionals in Palliative Medicine. We run an annual revision course geared towards helping trainees pass the Specialty Certificate in Palliative Medicine examination and offer unique digital reference resources to further your chances of exam success. 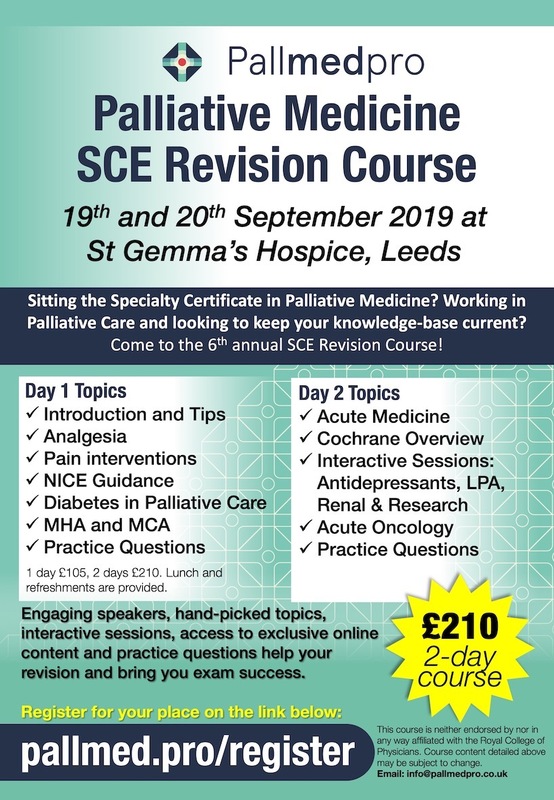 Our SCE Revision Course usually runs at St Gemma’s Hospice in Leeds. Our 2019 course is on Thursday 19th and Friday 20th September. You can now register for a place on the ‘Registration 2019’ tab. 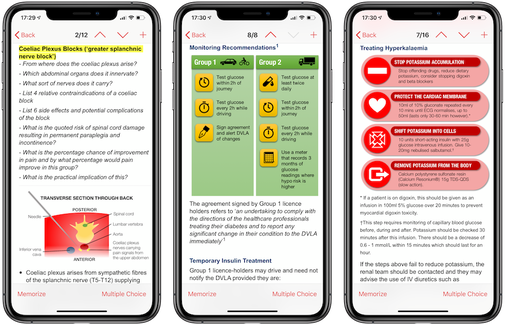 Revision, done differently: Why not check out our new, and interactive Palliative Medicine SCE Flashcards as the ideal resource to accompany our course?